Happy Healthy Food Friday, my friends! We’re at the mid-way through August mark and ready or not, school is just around the corner (one week for us here in Boston). For the next number of weeks I’m going to be focusing on back-to-school treats for you or your kiddos that are packed with brain foods to keep you going throughout the day. I’ll also be focusing on easy weeknight dinner options including one-pot, make-ahead, and crock-pot meals. I’d love to hear from you guys in the comments below of specifics you are looking for! 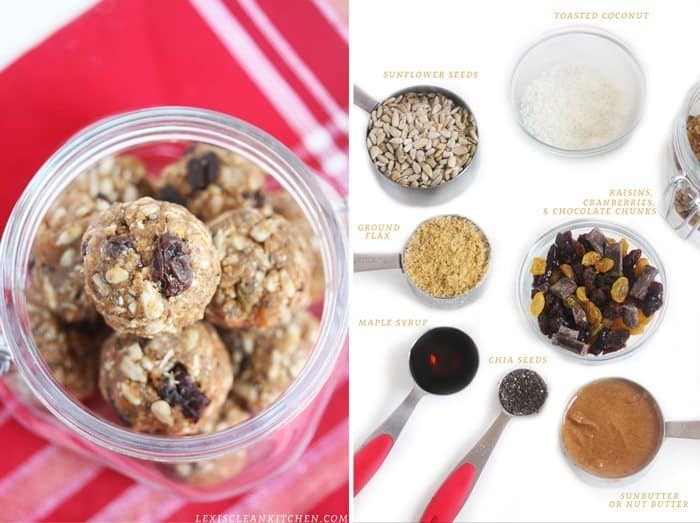 Let’s start with an easy breezy no-bake snack that is loaded with healthy whole ingredients and of course, healthy fats, protein, and carbs. 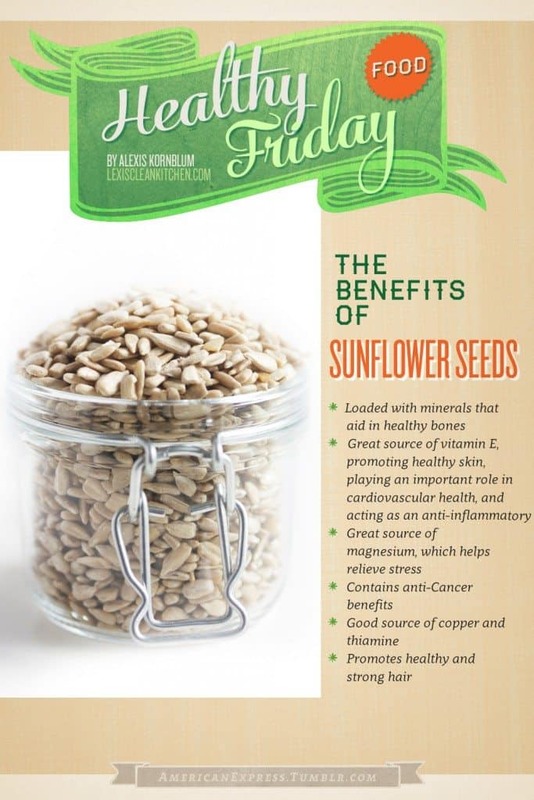 Sunflower seeds are a powerhouse and contain awesome health benefits. They also make for a nut-free option to bring to schools that don’t allow nuts! So what do we have going on here? 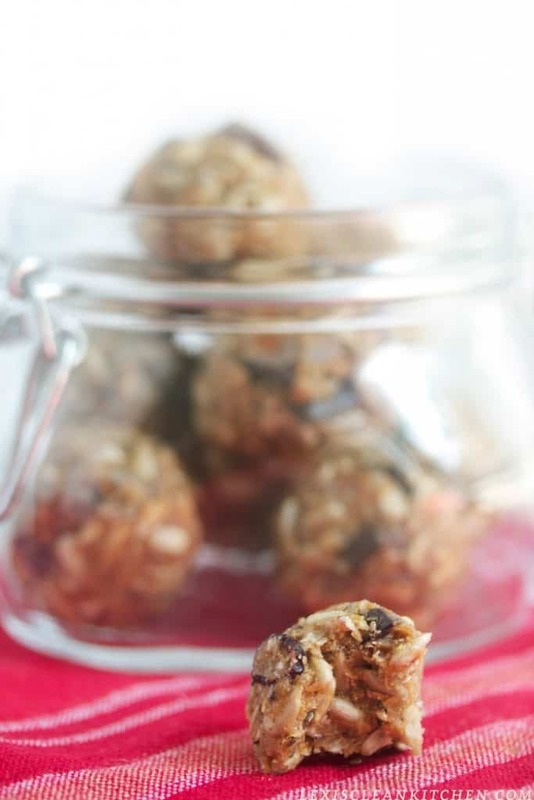 Easy, no-bake, nut-free, delicious, and packed with nutrients to fuel you up mid-day. What back-to-school foods do you want to see? Easy weeknight dinners, lunchbox snacks- you name it! Can I leave out the chia seeds or substitute something else in its place. Chia seeds are very expensive in South Africa, so don’t stock them in mu pantry. You can leave them out! These look great! But what is sunbutter and how do I make it? HAD to make these today. Instead of using the 1/2C of cranberries, raisins, and chocolate chips I used a 1/4C of cacao nibs, simply because I love cacao nibs! I ended up with twelve balls. I obviously tasted one immediately and they are fantastic. Cannot wait to have one later after they chill in the fridge for a few hours. Thank you!! These look great. What is sunbutter and how do I make it? Just made a batch. Fantastic!!! We start school in a week and my girls are going to love having this sweet treat for lunch. Love healthy sweets! These will be made weekly. Thank you again!! That sounds amazing! I just bought flax seed.. guess I know what I’m making. 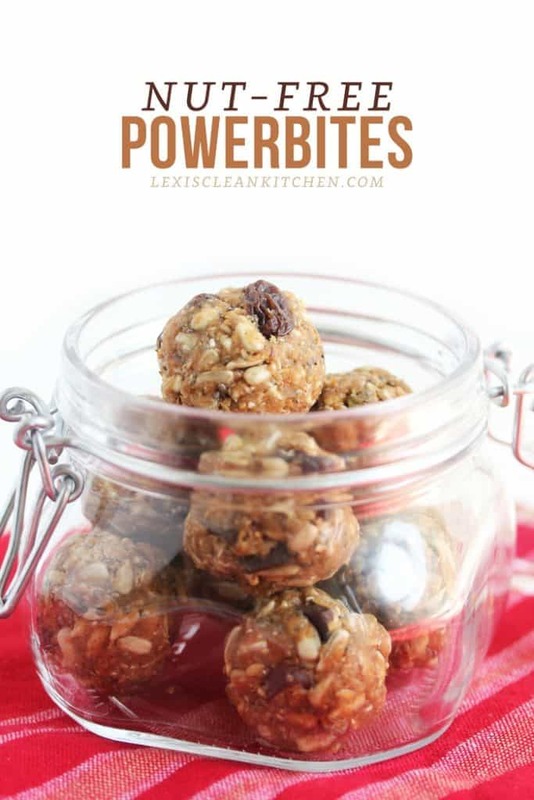 These look delicious and I have had some sunflower seeds sitting in my pantry for a while just waiting to be used! I bet they give this some great crunch and something different than the usual almonds or cashews! SUNBUTTER is sunflower seed versions of peanut butter! I found it @ my Canadian Bulk Barn, super yummy!! If you google it you can find home recipes to make it! Hi, this recipe looks great! I was wondering if I could use it in a blog post I’m writing on healthy peanut-free snacks? I would just be using a photo and will have a link back to this post for the recipe. Thanks for the recipe, we love the flavor! Mine turned out a small bit dry, should I add more sunbutter? Also how long can they be stored in the fridge? Thanks again! I don’t like coconut flakes. What can I substitute for them? Thanks! I really like the flax in these! I substituted poppy seeds for the chia seeds, no problem. But I accidentally used salted sunflower seeds instead of raw and oops – too salty! (duh) When I was a kid, we rolled the balls in the coconut at the end and the flavor comes out better. I think I’ll do that next time but wanted to try your way first. Hi there – This recipe looks great. How long do you think this keeps in the fridge? 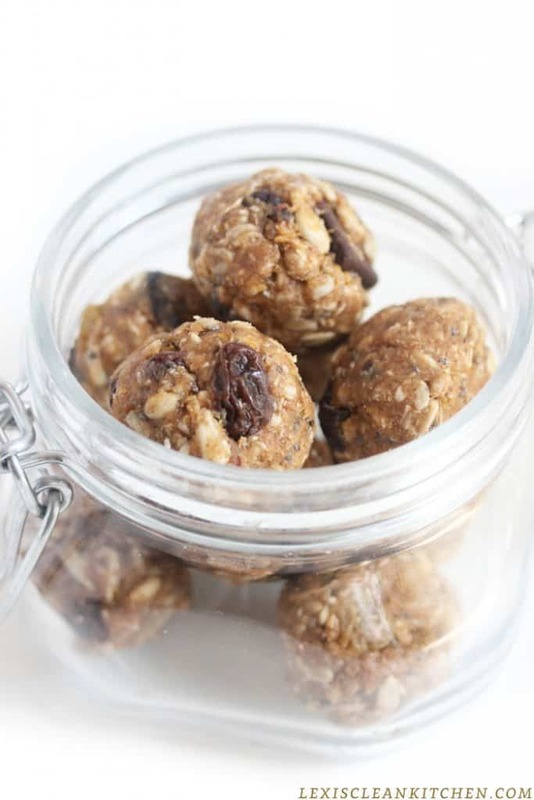 What could I use as a substitute for the shredded coconut in the Nut-free No-bake Power Bites recipe? Thank you! Love these! I’ve made them many times for the kids’ lunches and usually end up eating at least half of them at work. Great recipe! These are technically nut free if there’s coconut in them, is there an alternative to coconut? For now, all the recipes are free on my website! Could you by chance also add nutrition values under your awesome recipes please? I’d love to include some of your recipes into our regular treats! How many balls does this make typically?